The picture looks like ground zero. Soldiers and men, slowly emerge from the debris. The back of the photo reads “near Bullecourt,” France. A village prone to devastation, it was destroyed in the sixteenth century, and then in 1917. The most notable battle of this name was fought by Australians. April 11 1917, was the date for a spring offensive against the Hindenburg line in support of a major attack further south, Australians were to capture German trenches east of the village of Bullecourt. Five days before this attack the United States had joined the war. Chaos ruled in Russia as the proletariat attempted to overthrow Tsar Nicholas. Rather than an artillery bombardment, it was decided that the soldiers would follow behind tanks to gain enemy trenches. Starting at 4:30 am, only one tank remained three hours later. A creation not perfected until the Second World War, these tanks travelled slower than a walking man and the steel wall was no match for the German machine guns. While the Australians actually captured the trenches, they didn’t have the support to maintain them- they were forced to retreat. 3289 casualties were suffered in eight hours of fighting. 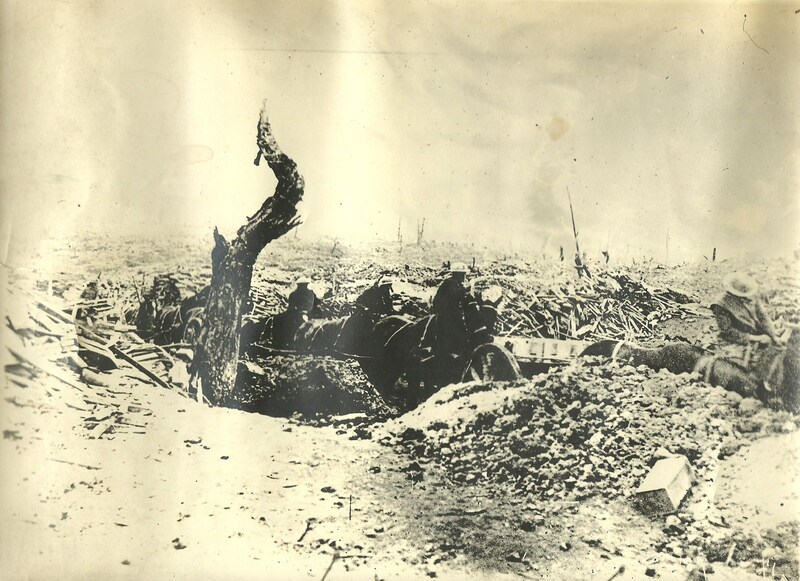 This entry was posted in historical media, old photographs, Photo of the Day, primary resource, World War One and tagged Australia, Battle of Bullecourt, Bullecourt, France, old photo, Primary photo, treanches, World War One. Bookmark the permalink.